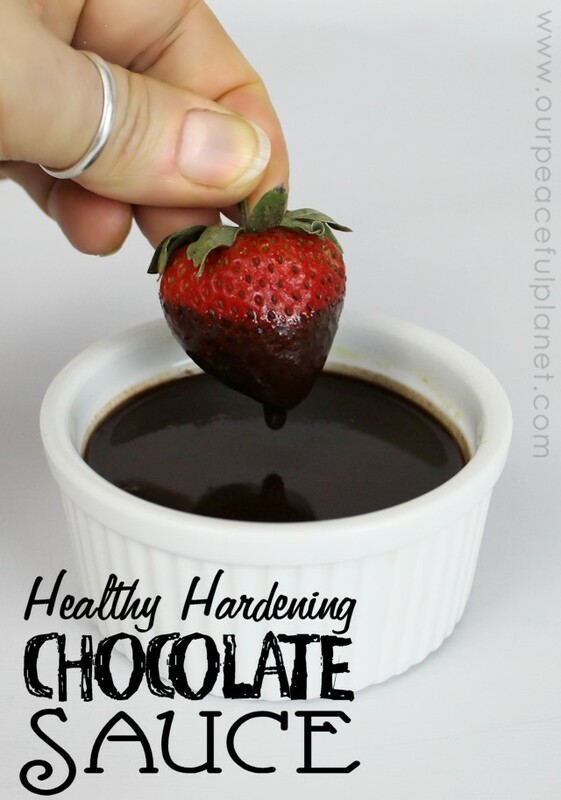 Fast Nutritious Chocolate Sauce That Hardens! 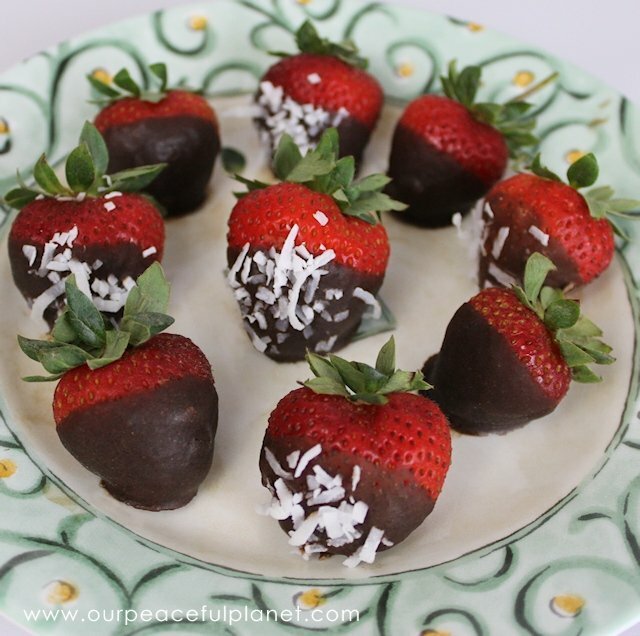 I love it when I can make desserts that are easy and fun and healthy. This sauce is one of my greatest finds ever. 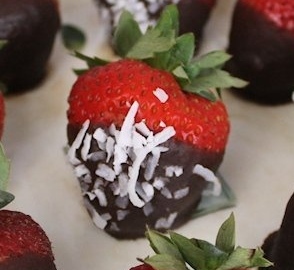 Takes 2 minutes to make, lasts for months in the fridge and tastes delicious. You can use it in dozens of ways, one of my favorites being my Chocolate Covered Bananas. Because its made with coconut oil which has a low melt temperature it makes the most fantastic solid coating when cooled. 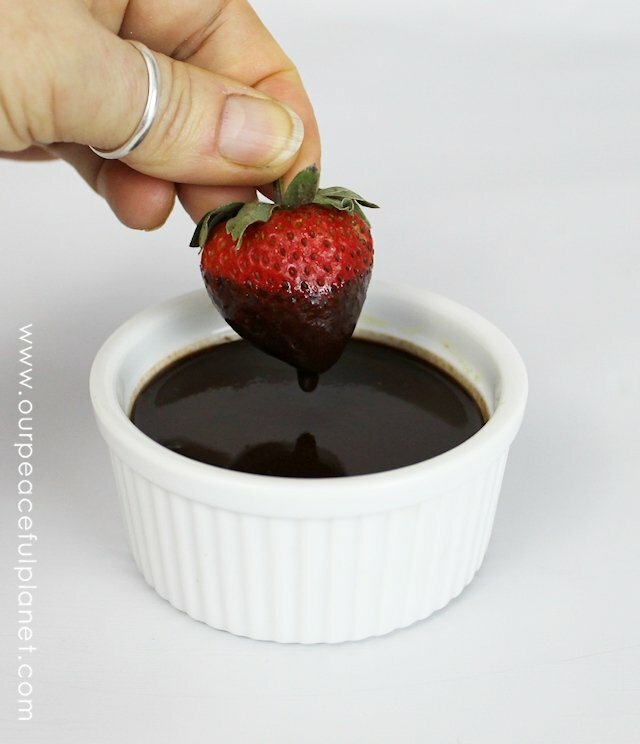 It can be used as a regular chocolate sauce, a dipping sauce and as coating for things like the strawberries shown. Coconut oil has a multitude of health benefits. 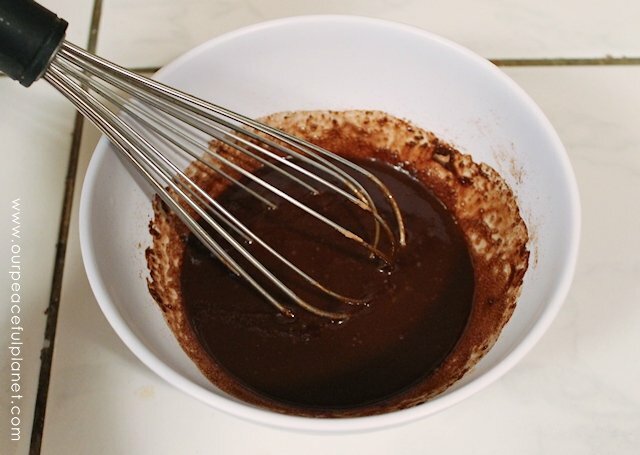 For the chocolate I use cacao powder but carob would work great or even regular cocoa. 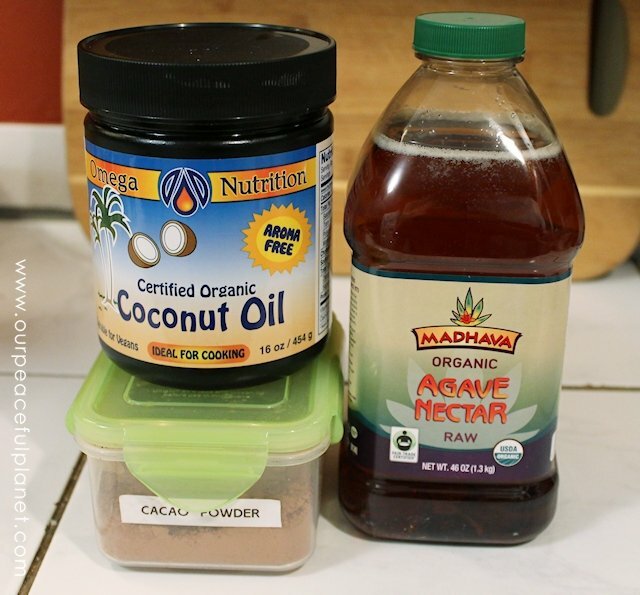 You can also use honey in place of the agave nectar. I’ve used both with wonderful results. I’ve also used carob powder and honey in place of theses items. If the Coconut oil is above 76 degrees it will be solid. Melt in a bowl of warm water or on the stove in a matter of seconds. If the sauce is too runny place it int he fridge for a few minutes. It thickens quickly though you don't want it too thick. This just helps it stick on the strawberries more. Dip strawberries. Quickly sprinkle on nuts or coconut if desired. Set on foil or wax paper. Chill.